Add personal touch to your ceremony. Instead of walking down the aisle to an ipod we can learn any song for you on your special day. Whether it be instrumental or with vocals, we can personalise it to you. Pick a song for your signing of the register and for when you walk back down the aisle as newly weds, we have your whole ceremony covered! 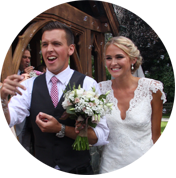 After your ceremony while every one enjoys a glass of champagne or whilst you are whisked off to have your photos taken, let us entertain your guests with some great sounding, chilled out acoustic music. John and Gemma have a fantastic catalogue of songs that add a touch of class and provide a great background as friends and family catch up! As the day draws to a close and the night sets in the party gets going! 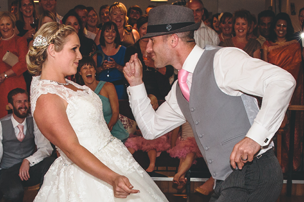 Our band has everything you need to get the dance floor rocking. ALL LIVE guitar, keyboards, drums, violin and three amazing vocal harmonies playing classics, oldies, funky and modern! So loosen your tie, kick off the heels and we’ll keep you dancing all night long! 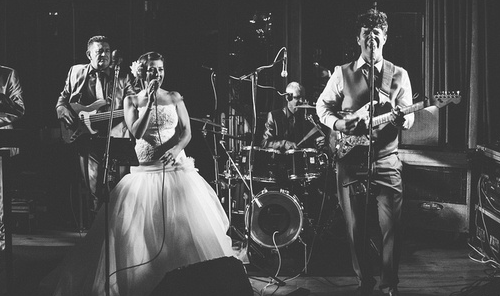 We were delighted to have the Calico as our Wedding Band. We told them what we were after and got exactly what we wanted… and more. Our special night was one big party and our 118 guests, most who had flown in from international destinations, left the wedding wanting more. Calico played our Bridal Dance song and even performed for our friend Tara to sing to us too. Calico went out of their way to cater for what we wanted and lived up to our expectations. 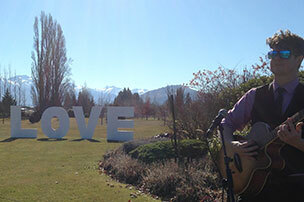 We would recommend these guys for any wedding. They are the complete package. John and Gemma have been together as calico since 2009 and have been a couple since 2006, and in May 14’ they became ‘Mr and Mrs’ in Ireland! Having planned our own wedding (including finding our own band) we understand the importance of your big day, all the little details and how much planning goes into a wedding, particularly if you don’t live in the area where you’re planning to get married. First of all know that all the hard work is worth it! 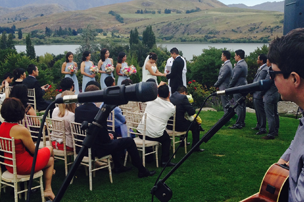 And rest assured that we will do everything we can to make your wedding music the best it can be.